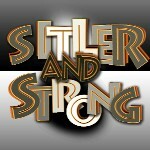 To order the music from the play ... Our website is www.sitlerandstrong.com ... there is a link to click on and it will take you to our online distributor "CDbaby" ... you can either download all the songs there and listen immediately or you can order an actual CD that they will ship out to you immediately. Thanks for asking! Thanks! I tried Advent Source but they didn't have it but I'll try ur website.